Buying Canadian lotto tickets online –Can it make you a loser? These days it is quite common to buy Canadian lotteries online. Be it Lotto Max, Lotto 649, Daily Grand, Daily Keno, Poker Lotto, Ontario 49, Poker Lotto or any of the Instant scratch card games, they are all available for online purchase. The top lottery providers like BCLC, OLG, WCLC, Atlantic Lotto or Quebec lotteries have made things easier for lottery players and offer their online sites and cell phone apps to buy Canadian lotteries instantly. 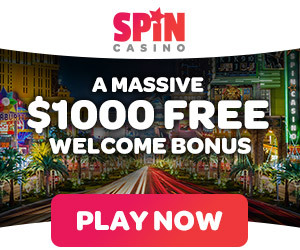 You can either visit PlayNow.com or PlayOLG.ca or any other of the genuine lotto websites and just register yourself at these online lotto sites by opening your account with few of your details like email, address, phone, age and few documents for verification and you are all ready to buy lotteries online. All seems good, right but there is a catch here as buying Canadian lottery tickets online can make you a loser. Wanna know then keep on reading. She contacted her credit card company, RBC Visa, to get to the bottom of the charges and they told her that whenever she purchases a lottery ticket on her card she is going to get this cash advance fee. That shows that buying lotto ticket with your credit card is actually making you a loser. Since 2008, the Western Canada Lottery Corporation said credit card companies have been classifying lottery purchases as “gambling”, charging interest every time a consumer buys a ticket. But according to RBC Visa the gaming transactions, including the purchase of lotto ticket, are automatically considered to be cash advances and interest is added. Not all banking institutions charge interest, some treat it as a regular purchase. So before you use your credit card to buy lotto tickets you need to check your statements and not fall on the same game. A cash advance typically refers to a person withdrawing cash from an ATM machine on a credit card. Banks usually charge a fee for the service, which can range from $3.50 to $10. In many cases the Visa companies also tell that lottery corporations are also responsible for the fee because the company had set up billing as a cash advance. What deposit method then you can use to buy lottery ticket online? Well as most of the online lottery sites offer Credit cards as deposit mode, they also do offer other payment options as well. You can use netbanking as online bill payment to purchase your lottery ticket. Each financial institution develops and supports their own bill payment processes. Most provide customers with a choice of accounts and account types from which to make a bill payment. You can transfer funds from your financial institution account to your PlayNow.com account either online or over the phone. You can contact the customer service department of your financial institution for assistance with setting up this service. Simply go to your financial institution’s website and login. Go to the Payments or Bill Payments section. Add a PAYEE. When searching for the Payee type “Lottery” in the search field and select say for example British Columbia Lottery Corporation or PlayNow.com from the search results list. When prompted for your Payee Account number, enter your 11-digit PlayNow.com Account Number which is listed in your profile. You can also set up a one time bill payment, or set up a recurring bill payment (this is a useful option if you choose to purchase a Lottery Subscription). You are able to transfer the amount that you specified in your Weekly Deposit Limit into your PlayNow.com account on a weekly basis (this is a rolling seven day period, not a calendar week from Sunday to Saturday). Also note that most financial institutions in Canada take one or two business days to process your payment, but the time needed may vary. Once lottery site receives your payment, it will appear as a transaction in your Transactions page. Also it is better to ask the bank about the charge or fees before doing online transactions to buy lotto tickets. So next time you think of buying Canadian lottery tickets online avoid using Credit Cards and becoming a loser in playing lotteries which too are a game of chance.